The Care Group of Hospitals owned by Quality Care India Limited (QCIL) acquired a five-star hotel premises at Banjara Hills, Hyderabad in 2000 and converted it into 361 bed multi-specialty hospital. Today, the Hospital stands tall with 430 beds, including 150 critical care beds, with annual inflow of 2,34,236 patients for consultations, and 19,408 patients for admission. Care Hospital, The Institute of Medical Sciences, Banjara Hills, the flagship Hospital of Care Group, comprises contemporary accommodation facilities ranging from general wards to super deluxe rooms. The Cardio-Thoracic department at CARE is among the foremost centres for Cardiac Surgery in India. The competence and quality is equal to the best centres in the world. Thousands of open-heart procedures are carried out, which include Adult Cardiac Surgery — like Coronary Artery Bypass Grafting (on-pump & off-pump), Heart Valve Surgery, and Paediatric and Neonatal Cardiac Surgery. The high standards of CARE Hospital are maintained due to dedicated Cardiac Surgeons, skilful Cardiac Anaesthetists, Perfusionists, and highly competent Nursing staff. CARE group of hospitals has been reigning supreme in the Indian Healthcare scenario as the provider of cost-effective quality medical care. With a chain of thirteen multi super-specialty hospitals located at the most strategic of locations in central India, CARE group of hospitals has emerged as a most trusted and accessible destination for the fulfillment of medical needs. Our specialist services are available to patients across a wider catchments area, providing healthcare nationally and internationally. Our International Facilitation Centre has been designed to utmost perfection to make your visit memorable, comfortable and successful. CARE Hospital has a great deal of experience in meeting the cultural needs of international patients and offers a service dedicated to caring for our patients and visitors from all over the world. Care International Patient Facilitation Centre understands the needs of the International Patient. The International Facilitation Centre provides support from the moment a medical report is received right through to assistance with arranging transport home, ensuring international patients feel at ease about coming to CARE Hospitals for treatment and feel at home during the stay at CARE Hospitals. All patients and their attendants are met upon arrival at Hyderabad International Airport by our International Patient Co-ordinators. Liaise with the Office of Immigration for the patient and attendants visiting on Medical and Medical Attendant visa. Airport Transfers: Services for visitors and patients’ relatives include arranging transport both to and from the Hospital and/or airport, and locating suitable accommodation. Patients and their attendants are Airport transferred to our hospital, our guest have the option of choosing their accommodation either within the hospital premises or outside the hospital. Upon admission, International Facilitation Centre also provides information about the procedures & process in our hospital and the services provided. Language Interpreters: A vital service to all non-English speaking patients and acts as a liaison and interpreter between patients, consultants, ward staff and other departments. The staff from the International Facilitation Centre is also on hand to deal with any problems or complaints if they arise. Our chefs offer a separate Middle East menu and other room services include Arabic language TV Channels. Liaison service with embassies, international institutions and organizations. Telemedicine: Virtual consultation and medical advice from our consultants through Internet. CARE Hospital is known for its best practices in Cardiology. 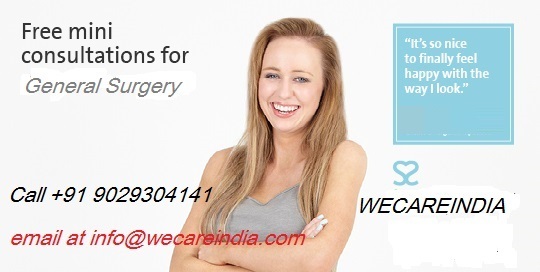 Many patients from USA, Germany, UAE, Iceland and Saudi Arabia avail our services. This is a result of the commitment of India’s top specialist doctors’ team: providing healthcare at an affordable price, delivered with compassion, care and concern, through team spirit, training and technology. We assure you quality medical services at all CARE Hospitals, which are on part with the best of medical institutions across India. The biggest team of Cardiologists in the Country. The latest Digital Cath Labs with Digital Subtraction Angiography, Spiral CT scan, 1.5 Telsa MRI Scanning Machine. Profile Attenuation Correction in Cardiac Imaging done only at our center in India. Average length of stay is much less at CARE Hospital, when compared to any other hospital in India. Round the clock availability of Cardiologists, Cardiac Surgeons, Neurologists, Critical Care Specialists and Anaesthiologists. The latest and advanced techniques like Cardiac MRI and MR Angio are performed in the state only at CARE Hospital. The practice of Nuclear Cardiology is only available at our centre, with the advanced Dual Spect Gamma Camera. Samarium Therapy (Bone Pain Palliation) procedure. Dr. B. Soma Raju and his team have performed the first PTCA (Percutaneous Transluminal Coronory Angioplasty) in India on 1985. CARE Hospital was the first centre in the state of Andhra Pradesh to perform a heart transplant successfully. Introduction of Robotic Surgery for the first time in India, outside Delhi. 99.6% success rate in cardiac bypass surgeries and over 98.5% of these were beating heart surgeries. The first centre in South India to acquire the Dual CT definition Scan. One of the best hospitals in India performing surgeries for Epilepsy. CARE Hospital is very prominent in India for performing Radio Frequency Ablation on Heart patients to treat Cardiac Arrhythmias. The rich experience with Cardiac expertise – 80,000 angiograms, 16,000 angioplasties and 14,000 cardiac surgeries.